Figure 10. The interior of the darktent. 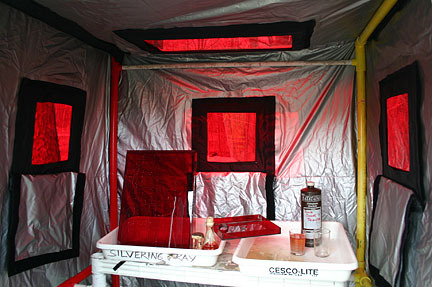 A silver nitrate sensitizing tank and helper tray made of red acrylic can be seen.